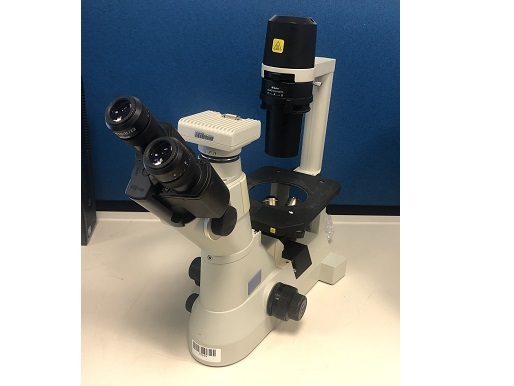 The Eclipse TE200 is a cost-effective inverted microscope offering the basic performance of the TE300 except that it lacks the front 35mm port and sophisticated four-way light distribution system. 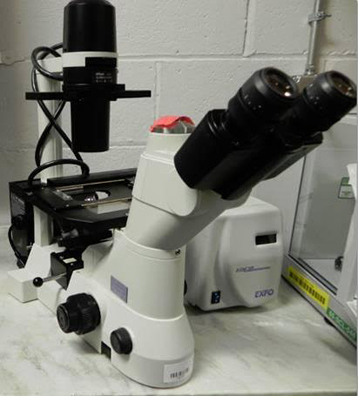 Ideal for users who wish to make observations through the eyepiece and on the video monitor. 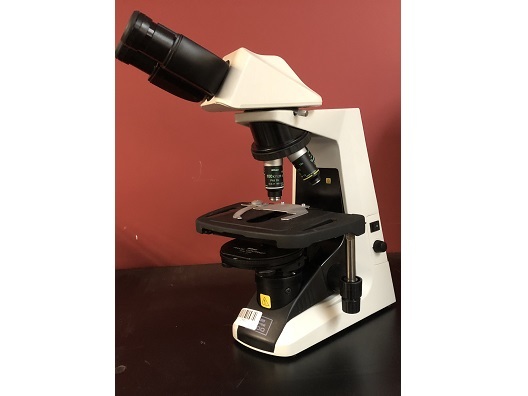 Ergonomics are incorporated into every aspect of the design, so that research and prolonged routine observations can be accomplished in comfort. 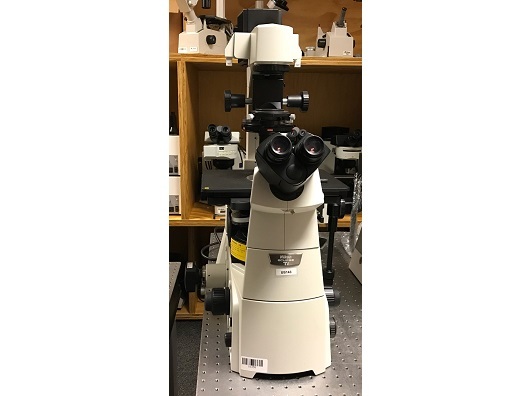 Dolan-Jenner offers the sleek and sophisticated Mi-150 series fiber optic Illuminati for microscopy and general illumination. Using Dolan-Jenner fiber optics will provide users with high performance and cold illumination in the most demanding applications. 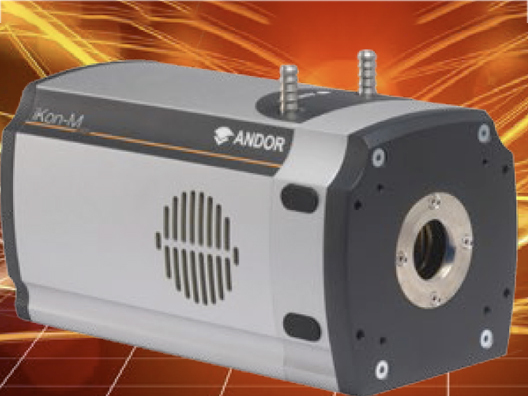 It features excellent light output uniformity, easy access lamp change, low IR heat and a small footprint. 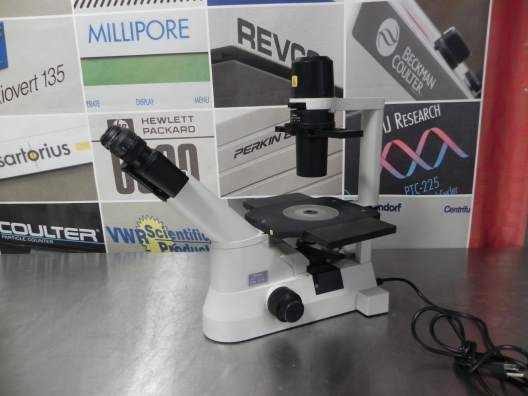 This Olympus IMT-2 Inverted Research Microscope is used and in excellent condition. 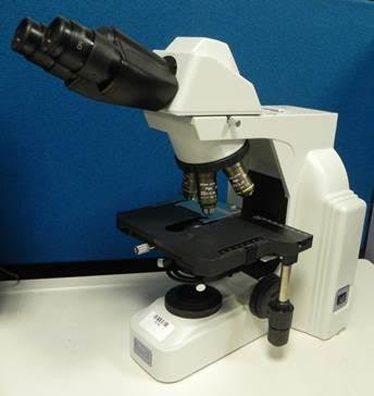 This unit does not include an Adjustable Stage, Lamp Housing, Filters, Halogen Bulb or Camera Back. Eye pieces sold separately. Exceptional versatility and convenience are the hallmarks of the new Olympus IMT-2 unique design. 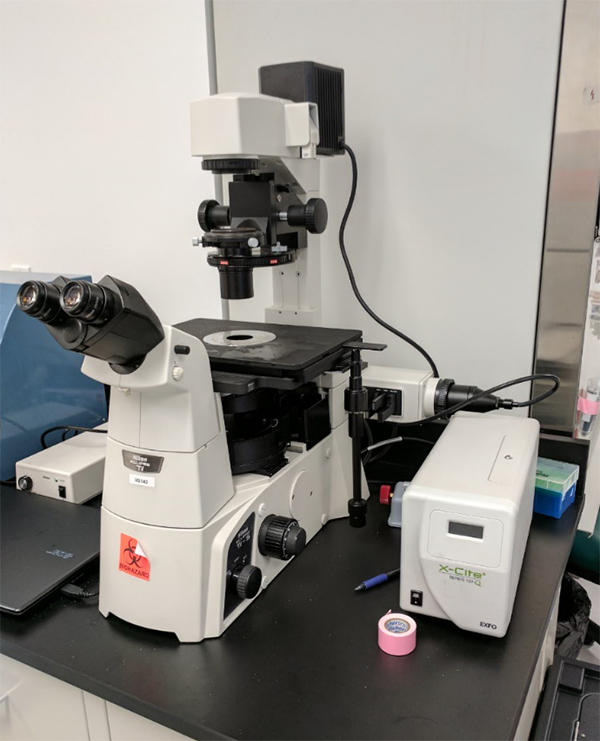 Switchover among five different observation methods is fast and simple, and a fixed stage system, in which specimen focus is achieved by moving the objective, assures excellent stability and enhanced reliability during time-lapse photography and micro-manipulation. 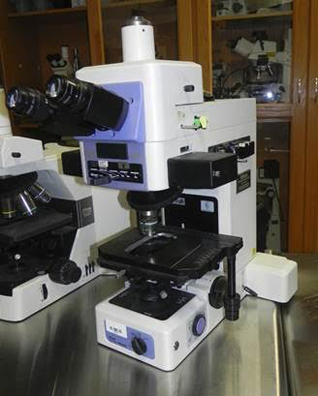 With such features , the IMT-2 is the ideal instrument for advanced research in the fields of biotechnology and medicine.